Preheat oven to 375 degree. Line a rimmed baking sheet with parchment paper. In a large bowl, combine melted butter, brown sugar, rosemary, paprika, chili powder, cumin, Worcesteshire sauce, garlic salt, salt, and pepper. Add pecan halves, stirring to coat. Place in a single layer on prepared baking sheet. 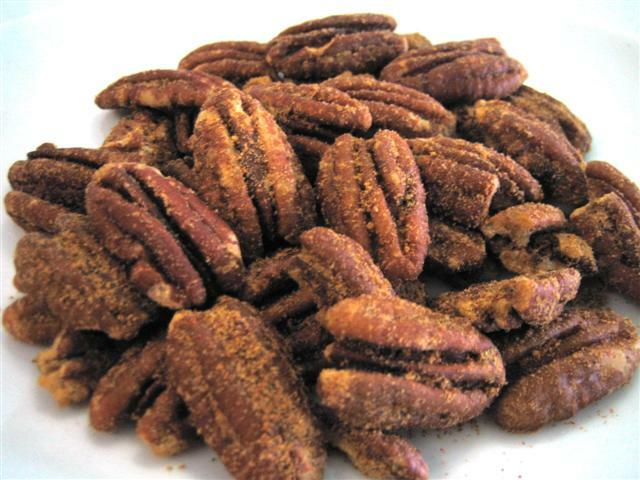 Bake stirring occasionally, for 10 to 15 minutes or until pecans are toasted. Cool completely, and store in an airtight container for upt to 1 week.